May 15-25th marks the 5th Annual Chicago Craft Beer Week. We're excited to be a part of three events during this year's celebration of local beer. As the number of breweries grows exponentially, so does the number of events each of the 11 days, making it extremely hard to decide which to attend. We've partnered on events that promote causes close to our hearts. We hope you'll find some time to stop by and join us for a pint and some conversation. Cheers to Chicago Craft Beer and the hardworking folks behind it! An in depth look at the role of branding, design, and marketing within the culture of craft beer. 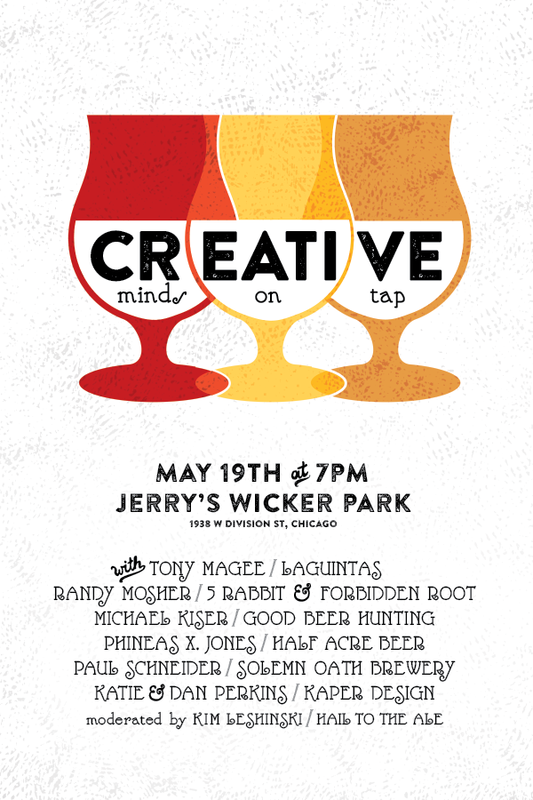 Join us as we host a panel discussion on the growth of craft beer, and the role that story telling and artwork play in the relationship between the brewery and the beer drinker. Q & A will follow the discussion. 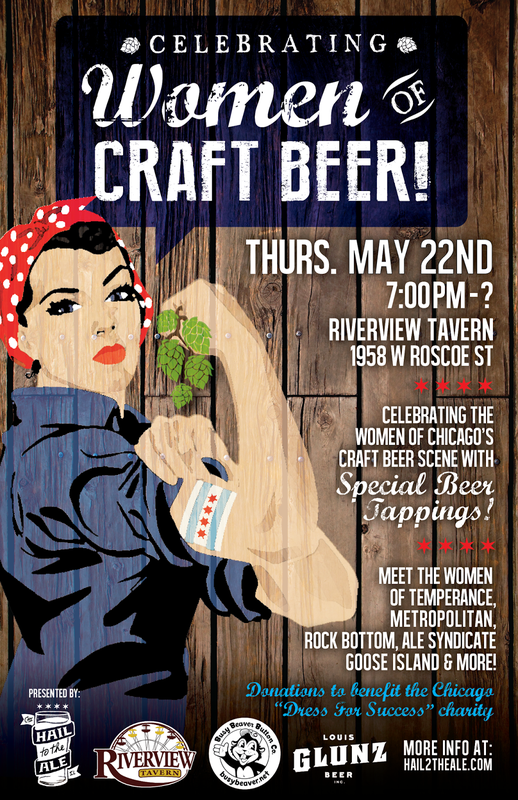 Join the women of Chicago's Craft Brewing scene to tap a special collaboration beer. Over 30 industry women got together at Temperance Beer Co to brew a session Pale Ale dry hopped with German Hull Melon hops from Hop Head Farms. You'll have a chance to share a pint with ladies from Temperance, Rock Bottom Chicago, Metropolitan, Solemn Oath, Goose Island, Ale Syndicate, DryHop Brewers, Begyle Brewing and Louis Glunz Beer and more! This is event is open to the public, no ticket required. Come out and support the Midwest's most talented women. The spring time is a magical time of year in Chicago that lasts about a week so why not greet it with some awesome brews at The Brew LaLa?! The 1st Ward and Chop Shop will once again host this event with the edition of a patio upstairs! 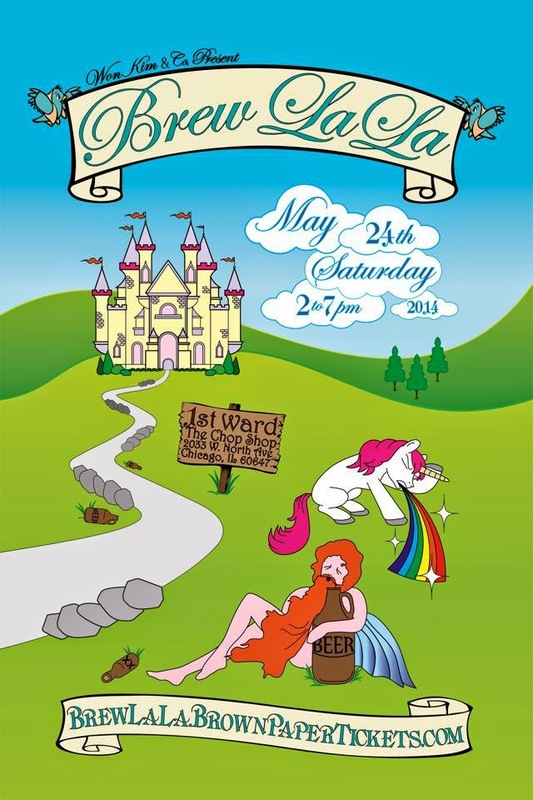 So don't fret if you missed the HaHa because the LaLa is right around the corner and it will be just as magical! To commemorate the Memorial Day weekend, we will be donating a portion of ticket sales to http://www.woundedwarriorproject.org/ - please take a look around the site, they do amazing things.